I suppose my first question is you have never had a job working for other people. You have always been your own boss from the day you graduated until today. Is that a good or bad thing? To be accurate, I did work for the family business for two years after graduating. It entirely depends on the circumstances: I’m a huge believer in trial and error, and if you get that freedom working for somebody else, that’s fine. I learnt about business from a very early age: at eight years old I was pumping petrol at my father’s garage while my grandmother made sandwiches in the café. My aunt was doing the books and my grandfather was selling second hand cars. Working for myself has worked for me, because I was able to learn so much from my father, who was pretty special, and who taught me and inspired me to be an entrepreneur. On balance though, I would actually advise my own children to go and work for a successful person or business before either working with me, or starting a business of their own. You have always had a passion for boats and sailing. What is it that attracts you to the water so much? The idea originated with the Ministry of Defence calling for designs for a small, disposable, remotely-controlled submersible vehicle to kill mines. I thought, if you can make a little submarine cheap enough to blow it up every five minutes, then you can make a consumer product that would take the world underwater. The idea turned into something of a quest. With Spyfish, anyone can experience the underwater universe as if they were there, easily and safely. It took about 14 years to develop the complete system to a pre-production state. It was very well received, winning gold and silver awards from the Design Society of America, Time Magazine Invention of the Year, and it was presented at TED conference, which led to some interesting phone calls from the US Special Forces and mysterious Iranian shipping companies. I had to put it on ice for a while to focus all my attentions on Octavian, but I miss it, and I’m looking forward to getting back to it at some point. It’s the iPhone of submarines. How did you get into the storage business and were fine wine collectors always your intended target audience? 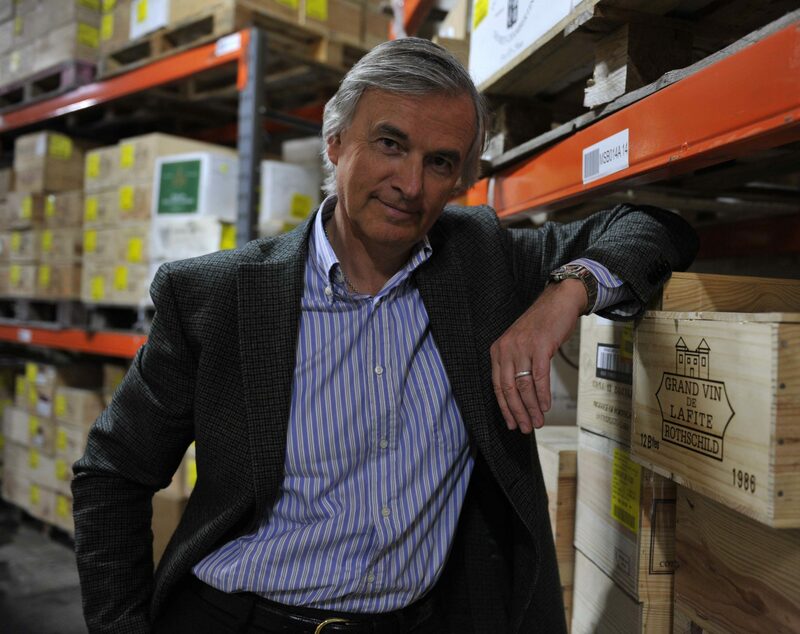 In 1986 I became involved in a small warehousing business which stored wine among other things, though it was the wine market that attracted me to the business, because of its enduring qualities. But it was only as we acquired more wine storage businesses that I became more aware and interested in the fine wine element. Let’s talk a little bit now about your flagship business – Corsham Cellars. What was the state of the premises when you bought it and what steps were taken to turn it into the world’s best bonded facility? When I first saw Eastlays mine I was both excited and apprehensive, because there were obviously going to be some challenges to overcome to create the perfect conditions to which we had committed ourselves. It was simply the huge scale of it that created these emotions. Happily, once we’d taken time to analyse the causes and effects of the environment that we found, with the application of some simple logic, it wasn’t difficult to produce the results we needed. So it was really a small problem that created a rather large effect. We started off by getting control of the air, using controllable air-tight doors and introducing significant dehumidification capacity. The good news for us was that the air circulation system was already in place and robust. The ducting system, which reaches into every corner of the complex, was galvanised by the Ministry of Defence which was not generally the case in such facilities. Otherwise the ducting would have turned to dust – as it has in other facilities – and the proposition would have been uneconomic. Next we introduced internal and external sensors to measure humidity, dew point, and temperature, and, crucially, an automated system for closing off fresh air from outside when the external conditions are unsuitable. Having met you in person (thank you for lunch!!!) your passion for the absolute perfect storage conditions is palpable. 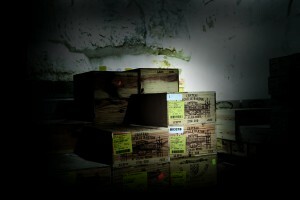 In your opinion what are the best conditions to store a case of fine wine and how do Corsham Cellars deliver that? Yes, I am passionate about what we do; that’s because it is essential if the wine is to deliver its full potential, pleasure and value. Our original design – obviously with technical updates – has maintained the ideal conditions for more than two decades, namely 13°C +/- 1°C, and humidity of around 80 per cent. Also key aspects of the Octavian standard of pristine storage are the absence of natural light, minimal UV, minimal vibration, and constant air circulation. 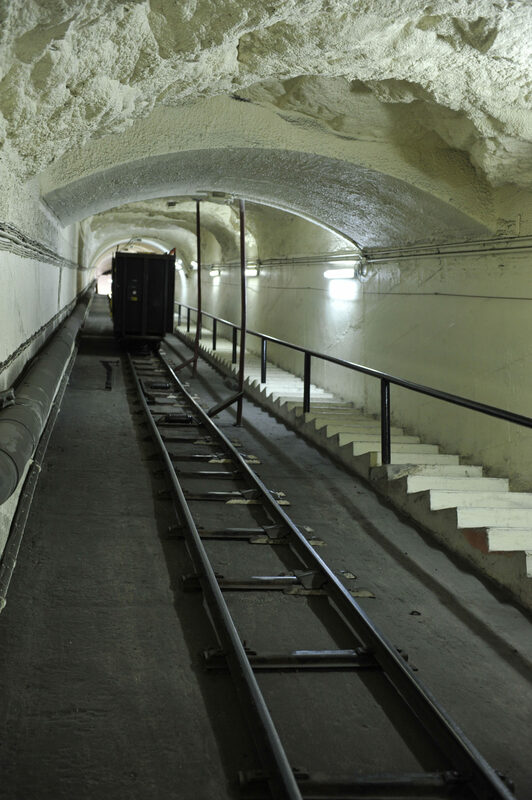 We are very fortunate that the naturally occurring temperature 100 foot underground is around 13°C, so we only have to limit any outside influence to keep it this way. Again with humidity, high humidity is natural, and for the wine itself the higher the humidity the better. 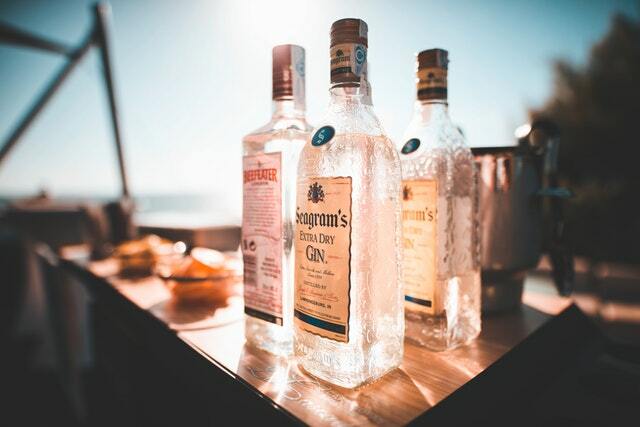 However, in order to preserve the appearance of the packaging and labels, we use dehumidifiers to limit the humidity to a high, but not too high, level. It frustrates me that humidity doesn’t get the same attention as temperature, because it isn’t difficult to see why too-dry conditions, especially over a long period of time, will affect the seal of the cork and simply ruin a wine. Avoiding natural light and vibration underground isn’t a problem and we keep electric light to a minimum. I am eternally grateful to the civil servant who ticked the box for galvanised ducting so that every corner of Corsham Cellars gets constant air circulation, driven by immensely powerful fans. In the last decade and more so in the last six years wine investment and wine funds are becoming more and more mainstream. This sometimes leads to customers only holding onto their wine for 1-3 years versus 10-30 years (like so many traditional collectors), so my question is how has Octavian adapted to manage this new wine crowd? There is no doubt there has been a significant increase in the frequency of trading of fine wine, but very often the wine will stay in our care despite having changed hands several times. To illustrate this, stockholding at Corsham turns over less today than it did three years ago. There is more administration, more inspection and reporting, photography, etc., which is why we’re so lucky to have longstanding, experienced staff to deal with the ever-increasing complexity of what we do. As the largest fine wine stockholding in the world, Octavian provides the greatest opportunity for safe secondary trading, where the wine can stay in one place – in the best hands possible! After all, there’s no point wine staying still if its potential isn’t maximised where it is. You seem to love building things with your hands, from things like the Spyfish, to some of the circuit boards that were installed in Corsham Cellars in the early days, to many more inventions I’m sure. What is it that you love so much about working with your hands and can we expect any more new creations? I don’t know about working with my hands; it’s more about problem solving, creativity, and seeing ideas become real. 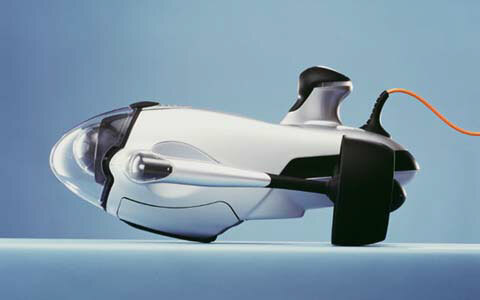 As for new creations, I still have Spyfish in cryogenic state, which I intend to get back to but with Sir Richard Branson and film director James Cameron building submarines to reach extreme depths, perhaps I should join this inner space race and build a large Spyfish that I could fly myself. Not long from now you are unveiling a new bonded facility. What makes it different from Corsham Cellars? No steps. Otherwise, nothing: it will embody all the elements of the Octavian Standard of Pristine Storage, as does Corsham. As to how we’ve done it, the full story will be revealed soon. You raised concerns with me that people who store fine wine do not do the necessary due diligence. What questions should people be asking themselves when they have to store their own case(s) of wine? So being surrounded by so much expensive wine, is there ever the temptation to crack open a case and try a bottle ? Happily for our clients, never. Just recently has the news broken that Culina Group has acquired five of your facilities. What was the reason for selling, and was this always the plan? Our business was in effect two divisions: Octavian – the fine and specialist wine trade services – and the logistics business. What we have done is to sell the logistics business. With both divisions operating close to capacity we had competing demands for investment. When Culina, who we have been working with for some time, approached us, we decided that the logistics division would have a more successful future as part of a larger business. The sale will provide increased resources to fund Octavian’s substantial growth, and also allows the management team greater focus. Operationally, the two divisions have been structured independently for some time, allowing us the flexibility to separate Octavian at some point. How will this affect existing customers of those facilities? Could they end up paying higher or lower storage charges? Octavian customers will not be affected at all except they will benefit from even greater focus from me and my colleagues. This year we have already made significant investments in new systems, temperature-controlled vehicles, and a superb new reserves facility. In addition, we have increased investment in our people, introducing a series of in-house wine workshops, which has led to over 20 of our staff enrolling in WSET professional wine qualifications. Commercially, our policies will remain the same. We have always treated Octavian independently. You’ve retained Corsham Cellars. What makes that facility so special that you didn’t sell it along with the others? It was not a matter of retaining Corsham Cellars; we have retained the Octavian business, which now has three facilities in the West Country, servicing the fine wine merchants and specialist wine trade, as well as many of the world’s greatest wine collectors. What is your personal favourite bottle of wine? Well, here we are back to the water again: in 1990 I bought a yacht that was built by a Russian-Italian ship owner, who had particularly good taste. The yacht came with an exceptional stock of wine, and introduced me to fine white Burgundies. My favourite at the time was a 1982 Corton Charlemagne from Bouchard Père et Fils. I still have one bottle left as a souvenir to remind me of the wonderful times and wines that I enjoyed, but I doubt it would drink very well today. You live in Jersey, what is so appealing about living there? I like a quiet life. I like the sea. And it’s sunnier than Huddersfield(where I grew up). Over lunch it struck me that you have had a lot of luck in your life (e.g. always at the right place and right time). Would you say you are a lucky person and would you say luck is important in being a successful business person? I must be, because I am incredibly fortunate. Lady luck plays a part in business, no more or less than in other aspects of life. You have to recognise her and seize her when she offers herself up. However, I’ve spent plenty of time in the wrong place on my journey. As we said earlier you have always been your own boss. How would you say you are as a boss and if you had to go out and work for someone today how do you think you would do as an employee? As a boss, generous to a fault. As an employee, my boss would have no problem with my work ethic, because I’d be working furiously to be back on my own.